A rare McLaren P1 that went through the McLaren Special Operations divisions is currently for sale in Germany. When ordered from the factory, the original owner had the hybrid hypercar painted matte black across most of its exterior and then numerous other body panels finished in gloss black or carbon fibre. The result is a McLaren P1, unlike any other and one that would stand out wherever it goes. Upon leaving the factory, the McLaren P1 was given some orange pinstripes to match the red brake callipers and provide an even more intriguing exterior look. Additionally, the red exterior accents perfectly match the interior which is a mixture of red and black leather with touches of carbon fibre throughout. 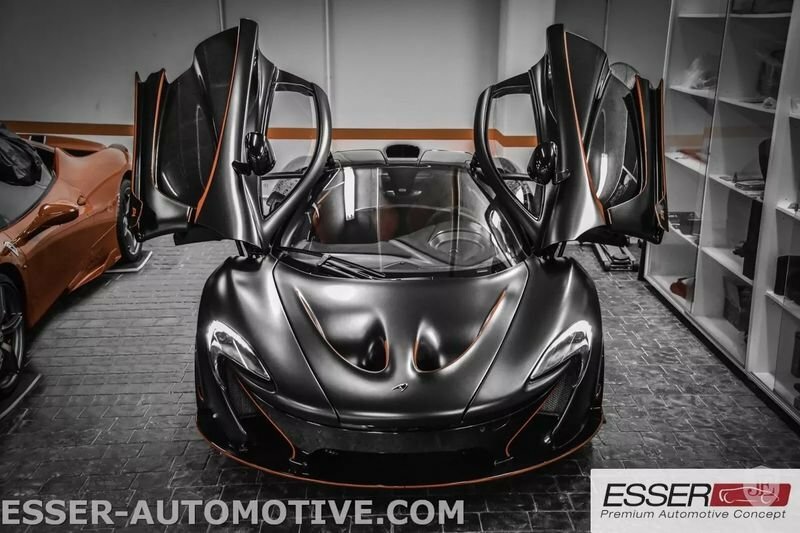 Since the McLaren P1 is a 2014 model, the car has been driven just 609 miles (980 km) – which makes it a unique car indeed – and has an asking price of 2.17 million euros ($2.55 million).